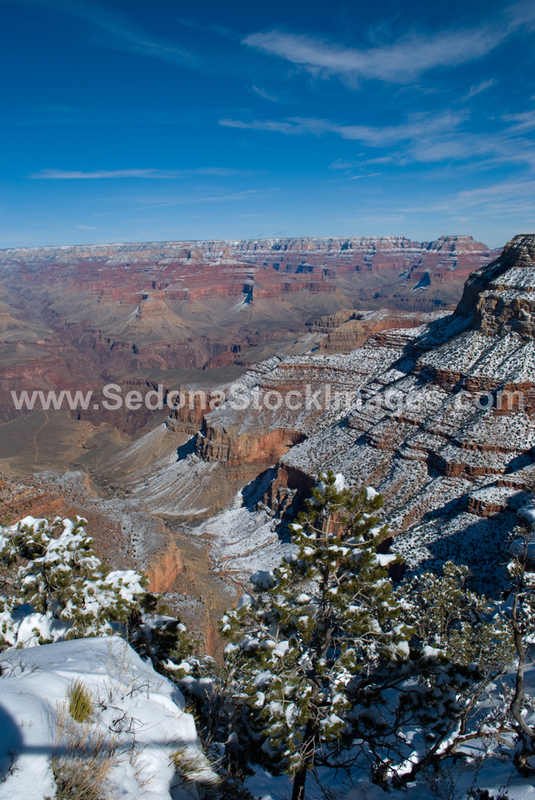 Photo ID: GCSnow2932.jpg The Grand Canyon is truly breathtaking and is even more magnificent with a winter snowfall. This South Rim view is from Trailview Overlook (6,860 ft high) overlooking the Bright Angel Trailhead seen in the left foreground leading out to Plateau Point (3,860 ft high) with the Colorado River 1,410 feet below in the canyon basin (2,450 ft high above sea level). Bright Angel Trail goes by Indian Garden (3,760 ft high) about halfway to Plateau Point. Wotans Throne (7,633 ft high) is visible at the horizon on the right.